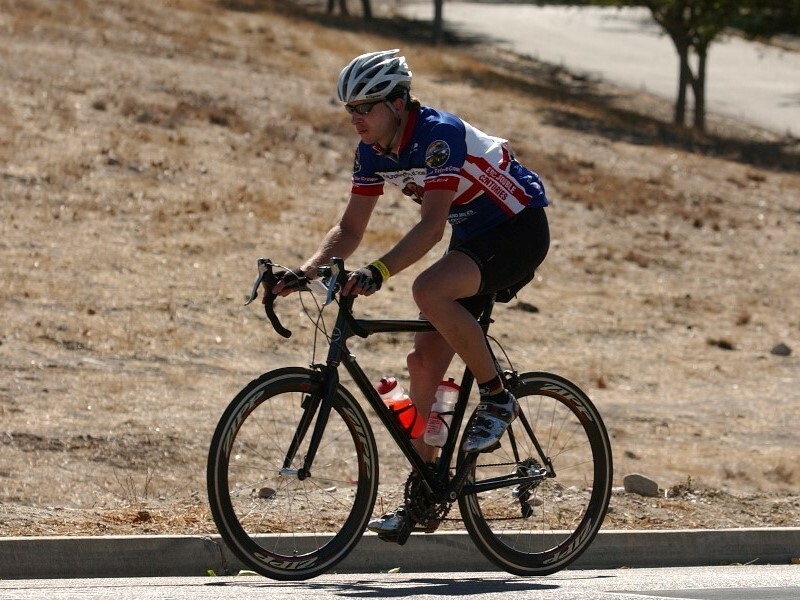 The Tour de Poway is a scenic back country century in North County San Diego. The ride is laid out as a big loop, initially heading east, then north, west, south, and east again. The ride starts with the biggest climb, Poway Road. After a short descent on Highway 67, the route visits Ramona, soon followed by a longer descent down Bandy Canyon. Highway 78 passes San Diego Wild Animal Park and leads up a short climb. 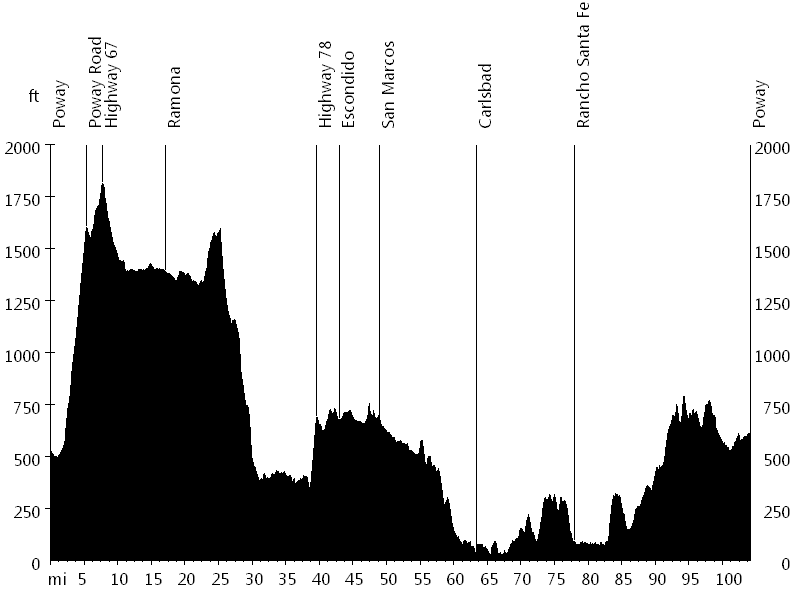 The course then continues through the towns of Escondido and San Marcos, and passes Legoland on the way to Carlsbad. For a while, the ride follows the Ocean, before heading inland again and eventually passing through Rancho Santa Fe. The bike path along Highway 56 gradually gains some elevation, and a few rolling hills lead back down to Poway. Several riders of the Renegades participated in the event: Barbara B., Claude I., Ryan P., Tom R., and myself. It was Ryan's first century, what a ride. This year I rode with Tom R. and a few other riders. The route was slightly different; in Ramona it continued down Highway 78 (instead of Bandy Canyon), and towards the end it followed Del Mar Heights Road and Camino Del Sur (instead of Highway 56 bike path).